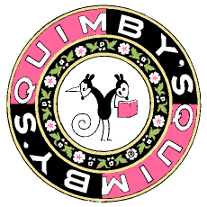 I’ll be reading Saturday at my favorite bookstore, Quimby’s in the hip and happening Bucktown / Wicker Park area with several other OWP authors – Laura, Nik, and David at 7pm. COME ON OUT! Blocks from the Damen/North/Milwaukee el stop and right on the North Avenue bus line. Saw Chuck Palahniuk read here years ago. This entry was posted in Latest News, Other Voices, Transubstantiate.